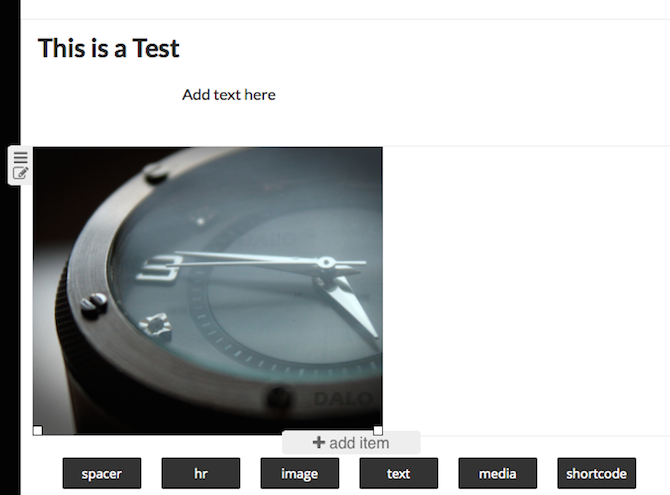 VelocityPage: A Breakthrough for WordPress Bloggers? Described on the developer’s site as a “breakthrough for bloggers and businesses who use WordPress,” VelocityPage offers a plugin-based front end page creation and editing solution that stands to shake up how we interact with WordPress and simplify day-to-day tasks for bloggers everywhere. No, there isn’t a free version. This plugin is premium straight out of the gate, and that’s fine by me. Sure – I like to save a buck – but when you add true-blue features to WordPress that actually work and actually make my job easier, I’m willing to open my wallet. So what does this plugin do? VelocityPage enables front-end editing on WordPress sites, which means that once a page is created, users don’t have to go anywhere near the backend to edit. Wave “bye bye” to the admin panel and say “hello” to editing pages while they are live on your site. You get to see your work as it will appear to visitors as you’re creating it. Before I dive into how this plugin works, let’s talk a little bit about features, specs and whatnot. All the features VelocityPage offers are tied together, so let me start by describing its general purpose and function. Once installed, the plugin allows you to drag-and-drop various page elements around and insert new ones within a convenient front end interface. VelocityPage also works with popular newsletter subscription services like AWeber and MailChimp and comes equipped with several landing page templates that are fully customizable on the fly. You can give the plugin a test run via a demo on their site. Go ahead and drag-and-drop to your heart’s content. I’ll be here when you’re done. The Basic license costs $97, works with one site, features 12 months of support and updates, and provides access to the Basic Velocity landing page templates. Next is the Plus license. It’ll set you back $167 and works with three sites, includes 12 months of support and updates, and provides access to the Premium Velocity landing page templates. Last, there’s the Professional license, which costs $247. You can use it on as many sites as you want and it too comes with the aforementioned 12 months of support and premium landing page templates. However, it also includes discounts on client licenses, making it the right choice for developers. All three licenses come with a 30-day money back guarantee. Installation for VelocityPage is really simple. Once you’ve downloaded it, upload the plugin in .zip format to your site. Then you just need to activate it and input your activation key. From there, you can start putting it to good use. 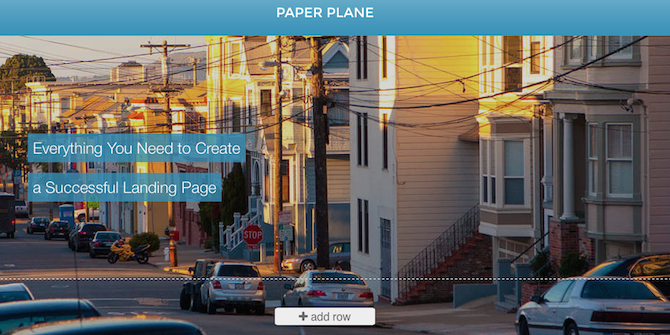 You can edit an existing page on your site or create a new one. There’s one thing to note here: the page needs to published in order for this to work. That’s one little hiccup I ran into at first. I tried to edit a page in preview mode and that doesn’t work. So, publish your post (you can set it to private, if you’d like) and then click the “View Page” option within the Page Editor in the dashboard. Click it and a drop down will appear. Then, you can drag and drop each element around on the page however you see fit. Now, VelocityPage isn’t really designed for drafting. There are other plugins that can accomplish this on the front end and the upcoming front end editor built into Core will likely take care of that as well. But what sets this particular plugin apart is how it makes the often daunting task of page layout a breeze. It brings WYSIWYG simplicity to WordPress in a way I haven’t seen before. And the usability with just about any theme is impressive. Jaquith agrees, noting that “it’s important that people not feel tied down to a specific theme,” and this plugin allows you to stick with your current theme in the vast majority of cases. That’s pretty cool if you ask me but shouldn’t all that surprising: Jaquith is one of the lead developers for WordPress Core too. If anybody knows what would be compatible across the board, it’d be him. Another perk? You won’t have to manually remove shortcode artifacts from every single page should you decide to deactivate VelocityPage sometime in the future, which is something drag-and-drop editor, Visual Composer requires. Chris Lema calls this issue “shortcode hell” and rightfully so. The tedium! In any case, once deactivated, VelocityPage puts your themes default styling back in place without a shortcode in sight. During my test run, I used the plugin on a handful of themes and found it to work flawlessly. Everything did exactly what it was supposed to do. I guess one of my biggest pet peeves is when a plugin makes itself too obvious or calls attention to itself by being intrusive. Once you get past the initial page creation and clicking through to view it on your live site, the interaction with the actual editor is smooth. My site ran just as quickly as it always has and being able to see how a page will look as I worked on it meant I got the exact result I wanted. There are quite a few drag-and-drop plugins on the premium plugin market already, but there’s definitely room for VelocityPage among the fold. It’s easy to install, easy to use, and makes perfect page layouts without having to even touch a line of code. I imagine it’ll be quite the time saver too, since you don’t have to click back and forth between the admin view of the editor and the preview. If you anticipate needing to create new pages for your site often, I’d recommend it. Have you tried out VelocityPage yet? On the fence? Or are you currently using a different drag-and-drop plugin or theme? I’d love to hear what you’re doing and what you think! Next blogpost:Will Premium Plugins Survive as WordPress Core Becomes More Feature-Rich? Is shortcode hell being replaced by a markup hell? VP seems to rely on its own responsive grid system, so the markup it creates probably becomes a permanent fixture in your posts and pages. VP seems like a product aimed at sites whose main users want a wholly code-free WYSIWYG experience, but they’re still presented with HTML terminology in the VP interface. If that interface becomes a little more usable and intuitive (more icons, less text) it would be close to the goal of easy layout creation and editing anyone can do. In my opinion I don’t think VelocityPage has that many features. Visual composer has a lot more features, more developers developing add-ons for it, and it’s one third of the price http://bit.ly/1kEILja. That’s what I’ve installed on my blog and it saves me so much time. Thanks for sharing, Peter! VP is targeted at page layout more than creating posts though so I think it does have a place that may be unique from Visual Composer. If you take a look at what Chris Lima has to say there is a distinct difference between this plugin and visual composer as well as all the other wsiyg editors. It doesn’t leave the mess of shortcodes that a visual composer will leave if you decide to update your theme in the future without a visual composer. This plugin creates a cleaner, leaner, and more search friendly code that is absolutely the reason why it’s the hands down best choice for codeless editors. It works with the Genesis Framework which is the best framework period for SEO and actually growing your business. Why do we even debate something like this when at the end of the day the look of your website is irrelevant if it’s slow and not very well indexed and searchable by Google’s standards? I really don’t understand it am I missing something here? Everytime I see a new article comparing drag and drop editors and how much money visual composer makes to provide us with a clunky shortcode nightmare is absolutely amazing. I took a look at this plugin and the demo, and it’s pretty incredible – even more flexible than what squarespace offers with their backend editor! Wow! I really liked it, Tom! But I know exactly what you mean. I like to have control over everything too!